Home Warhammer 40k Battle Report: Deathwatch vs. Sisters of Battle! 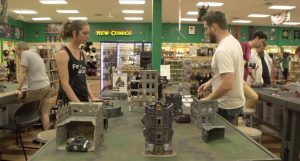 Battle Report: Deathwatch vs. Sisters of Battle! We’re in for another bloodbath this week at Nights at the Game Table, as Adam and his Deathwatch take on Lena and her Sisters of Battle in this Glory Seeker Match! Adam, as always, is not shy about bringing a ton of firepower to the battle. 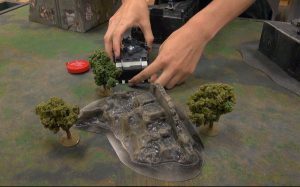 And with the rules of the match focusing on killing as many enemies as possible, the Deathwatch’s bloodlust may very well work in their favor. Adam is bringing his familiar faces of a Watch Master and Watch Captain, backed up by a bundle of Frag Cannons and a squad of Primaris Intercessors. 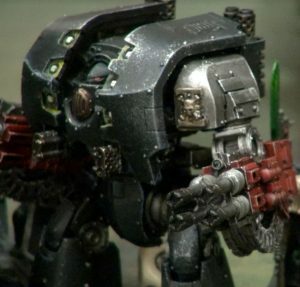 A Razorback is also being used for support, but the real star of the show is Adam’s famous Leviathan Dreadnought, the enemy of Necrons throughout the galaxy. 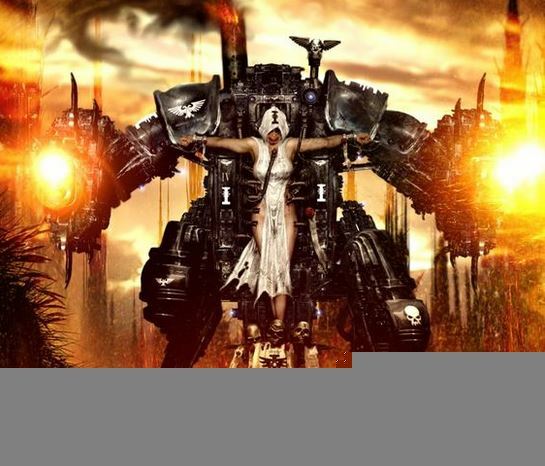 Now, this nigh-unstoppable juggernaut is turning its guns onto the Sisters of Battle! His opponent, Lena, is a newcomer to the world of Nights At The Game Table, but she’s a seasoned 40K player and has come prepared with more than enough firepower to cause some serious chaos on the battlefield. 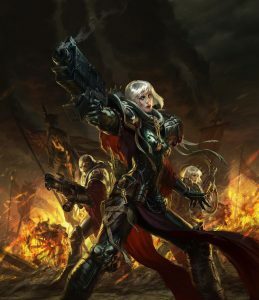 With an array of Standard Battle Sisters and a Repressor Personnel Character, she’s got an efficient mix of mobility and firepower to wreak havoc on the Deathwatch. An imagifier and a Warlord Cannoness will be providing support, and her army is capped off by her flagship unit, the Penitent Engine! This huge, horrifying walker that is an absolute demon in close-combat. Will it be able to close the gap and rip Adam’s Leviathan to shreds? Let’s find out! Adam takes the first turn, and realizing how dangerous that Penitent engine would be if it were able to close ranks, so he immediately focused his firepower, using his Dreadnought’s massive cannons to put an end to the rampaging walker before it could do any serious damage. Reeling from the loss of her most devastating unit, Lena regroups and advanced on Adam, the cannoness and her Battle Sisters beginning to chip away at Adam’s armor, wounding several of his troops but not managing to score a kill. As round 1 draws to an end, it looks as though the Dreadnought is poised to continue its trail of carnage across another army. However, it IS still vulnerable to Lena’s fire support, and she has more than a few tricks up her sleeve that could prove to finally target the cracks in the Deatwatch’s armor. Will the Deathwatch defeat another foe, or will Lena’s debut appearance see her taking the throne from the current champion? Previous articleMind Games: What Kind of Gamer Are You? 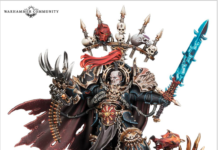 Next articleAge of Sigmar Pre-Orders First Look!